Organize your employment records before your legal consultation. So you think you have an employment discrimination or wrongful termination case and are looking to hire a lawyer. Just as you must evaluate the lawyer to decide if they are right for you, the lawyer must assess your legal claims to determine whether they should represent you. Once you have gone through the preliminary consultation and conflict check, the lawyer will likely schedule an in-person meeting to delve into your claims in greater detail. The more information you have readily available, the more easily the lawyer can assess your claims. Of course, that does not mean you should bring with you every scrap of paper conceivable! Below, I describe what information and documents you should bring to help the consulting lawyer evaluate your case. What should you bring to your consultation? A written chronology that you have prepared that lays out the facts of the case. Tell your story in a neat, chronological order that allows the attorney to understand what happened to you. Make sure to cover the following: When did you start working for the employer? To whom did you report? How was your performance and what were your evaluation scores? What happened that you believe was illegal? What was said/done? Can you prove that others were treated differently? Were any biased comments made? Who are your witnesses and what did they see/hear? Did you complain? What happened next? What evidence do you have that supports your case? How has the illegal conduct affected you economically? How has it affected you emotionally? You are preparing this for an attorney, so write “For legal consultation — attorney-client privilege” at the top. The attorney will likely benefit from getting your chronology in advance of the meeting. A list of witnesses. Write down the names and contact information of all witnesses who have information relevant to your legal claims, along with what you think they can testify to. A copy of your most recent résumé. This helps give the lawyer a sense of your work history and the work you do. All documents you received from your employer when you started. This includes any employment offer letter, paperwork that you signed, and any employee handbook or policies given to you. This allows the attorney to get an understanding of the terms of your employment as well as official rules and expectations. All documents that you have from the employer reflecting their policies. This includes any employer handbook, policy manuals, and individual policy documents. All written job descriptions for positions you have held with the employer. This, too, helps the attorney understand the nature of the work you did and the necessary skills/abilities. Written descriptions are particularly useful in a disability discrimination case. All documents that you have reflecting your job performance. This includes performance reviews, write-ups, and emails talking about your work performance. Emails that you have between you and anyone from the employer that relate to your claims (your supervisor, coworkers, management, anyone). All texts that you have between you and anyone from the employer. All pay stubs that you have and other documents that show what you were paid. It is important for the lawyer to determine your compensation, as your pay and benefits are often taken into consideration when determining the value of your case. Copies of any letters or other documents you or someone on your behalf gave to the employer. Did you ever complain about discrimination/harassment/retaliation/illegal conduct? Did you ask for a reasonable accommodation and/or give any doctors’ notes? These and other documents you gave to the employer are helpful to review. All notes, calendars, and other documents you kept that discuss the employer. Any other documents you have from the employer that are relevant to your claims. All other documents that you believe supports your legal claims. If applicable, all documents showing your post-termination job-seeking efforts and employment. If you have been terminated, you should keep detailed records of every place you applied to, what it would pay (if known), when you applied, and what response you got, if any. You should also keep any documents reflecting money that you made from any other job after you worked for the employer. This includes pay stubs, offer letters, copies of checks, etc. This list is by no means exhaustive, but it does serve as a solid starting point. Depending on your claims, there will be other relevant documents. 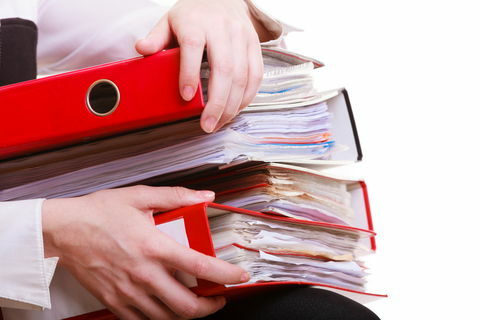 When there are a lot of documents and information of be reviewed, be sure to organize them in advance. If any of these documents are on a company device, machine, or network, do not print them out without first discussing with an attorney whether you are allowed to do so. Also, it goes without saying, but you should never delete or destroy any documents that relate to your claims. By spending some time preparing for the attorney consultation, you will be able to present your claims more clearly. Not only will it make it easier for the lawyer to assess your claims, but you will impress them with your organization and focus! Warning/disclaimer: As with all of the information on the Mizrahi Law website, this post is provided for informational purposes only and is not legal advice. It is of a general nature and may not apply to your claims. Each person’s situation is different and we urge you to consult with an attorney about your own legal claims.